A slightly overpowered train! 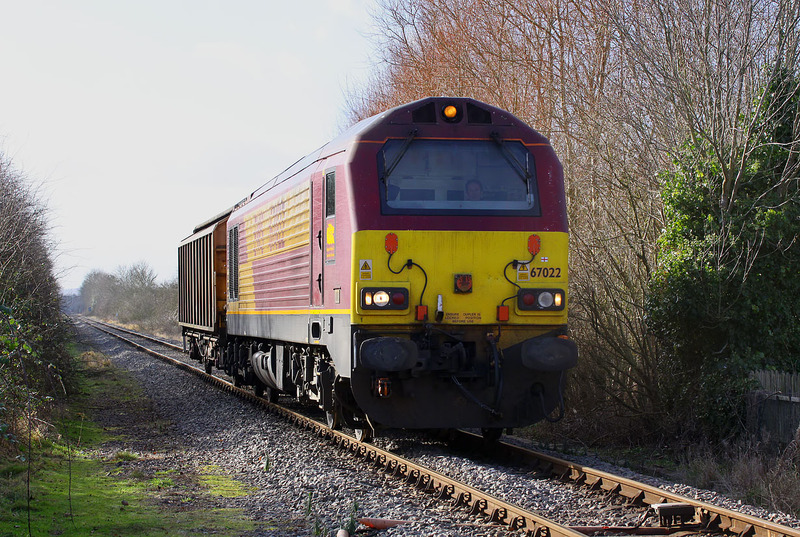 67022 passes Oddington with a single VGA wagon on 4 February 2013, as it works the 6A49 12:10 Didcot to Bicester MoD stores. The vintage bullhead track would soon be swept away, with the complete route modernisation of the Oxford to Bicester line.